The 2018 Range Rover Velar arriving this summer points the way to future styling for Range Rover. Land Rover's product plan centers on three families of all-terrain vehicles, each with a slightly different mission. The Defender will be the brand's ultrarugged, go-anywhere, do-anything vehicle. The Discovery has moved upmarket to become a versatile, near-luxury lifestyle vehicle, equally at home on and off the road. Range Rovers add top-tier luxury accouterments and cutting-edge technology to go with no-compromise off-road capability. 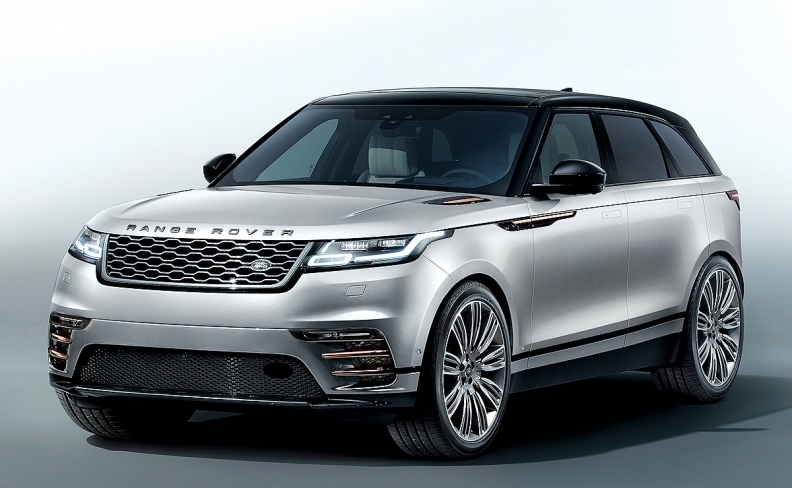 The redesigned Discovery, which replaces the LR4, and Range Rover Velar arrive at U.S. dealerships this summer and expand the Land Rover showroom to six nameplates, the most in the brand's 70-year history. The two SUVs could help Land Rover smash sales records this year and beyond as the market continues to shift from cars to SUVs and crossovers. But Land Rover retailers are waiting to see if the brand can pass its toughest test yet: replacing the iconic Defender. Defender:​ The next generation is the most anticipated vehicle in Land Rover history. The original Defender, born as the Series 1 in 1948, became a global icon and remained true to its original design and mission through the end of production in early 2016. Jaguar Land Rover has been showing future vehicles as much as a year in advance, so it is possible that JLR will show a concept version of the next-generation Defender in 2018 ahead of its 2019 calendar year debut. JLR has said little about it, but some specifics have surfaced: It will include a family of vehicles to be sold in all global markets. It will come in several body styles and it will be instantly recognizable as a Defender, but without appearing retro, says Land Rover design chief Gerry McGovern. Look for a two-door soft top and a four-door wagon powered by JLR's Ingenium family of gasoline and diesel engines. The original Defender sported an aluminum body over a steel frame. But JLR has said the new Defender must meet global safety and emissions standards, so building it on a unibody platform, such as the D7U underpinning Range Rover and Range Rover Sport, would be faster, easier and more affordable. The Defender is likely to be built in JLR's new Nitra, Slovakia, plant, which is being set up to build aluminum-intensive vehicles. Discovery: New for 2017 and replacing the LR4, the big off-road vehicle now rides on JLR's D7U aluminum-intensive platform. The Discovery adds an optional third row of seats, a diesel engine and an eight-speed transmission. It comes with a bevy of electronic safety and infotainment features, including an updated version of JLR's InControl Touch Pro, which allows the driver to control many vehicle functions through the computer screen. Towing capacity has been increased to 8,000 pounds, which could broaden the Discovery's appeal among boat owners. The new Discovery moves upmarket from the old LR4, giving JLR space to take the next-generation Range Rover into direct competition with the Bentley Bentayga and the upcoming Rolls-Royce SUV. "We've realized that the Range Rover has got this big expanse across its price range, so it's not a very big step to get into Bentayga country," McGovern told Automotive News in July. The Discovery will get equipment upgrades and performance tweaks ahead of a freshening in 2021. Discovery Sport: Launched in 2015 and given minor tweaks each year, the entry-level midsize crossover is due for a freshening in 2020. Range Rover Evoque:​ The sporty compact crossover — available as a two-door, four-door and convertible — moves into a new generation in 2020. Range Rover Velar: Riding on the midsize lightweight D7A platform, Velar points the way to future styling for Range Rover, especially inside. The interior sports twin 10-inch touch screens and soft, luxurious trim on the dash, doors and center console. Its electric door handles pop out when needed. Power comes from a 240-hp 2.0-liter turbo four combined with an eight-speed automatic that powers all four wheels. It could be freshened in 2021. Range Rover Sport:​ A freshening is slated for the 2018 model year and a re-engineering is due around 2022. Range Rover:​ A freshened version arrives for 2018 and a redesign is expected by around 2021. The next Range Rover is expected to move up in size, price, performance and capability. The next-gen Range Rover's architecture will remain aluminum and could debut the rumored 3.0-liter inline six-cylinder version of the Ingenium engine, and possibly a hybrid powertrain as JLR phases out the old Ford-built V-6 and continues its mission to reduce weight and carbon dioxide emissions.